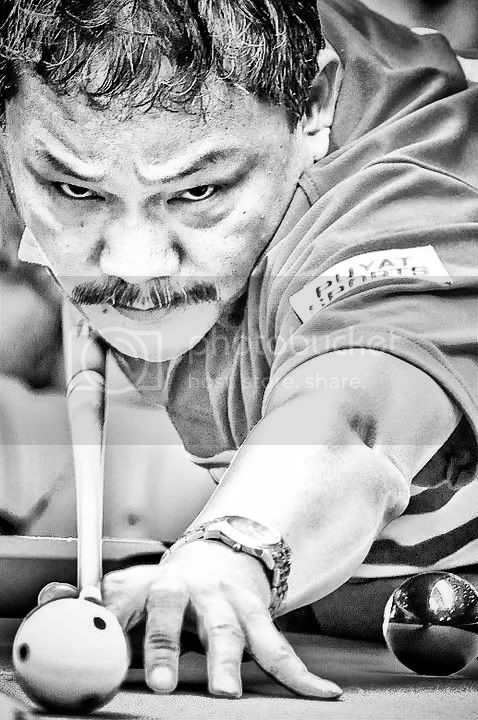 The AnitoKid on Billiards | Philippine Sports: Filipino Pool Player Ronnie Alcano Wins SEA Games' 8-Ball Gold! 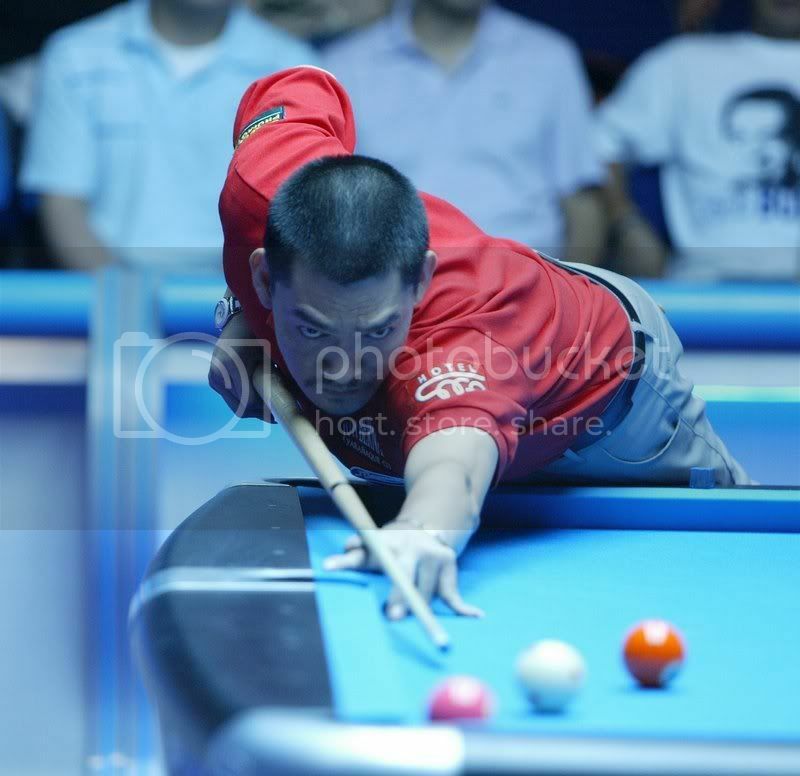 Filipino Pool Player Ronnie Alcano Wins SEA Games' 8-Ball Gold! Congratulations to 2006 World Pool Champion Ronnie Alcano, aka The Volcano, who went for gold in the 2007 SEA Games’ 8-ball competition! 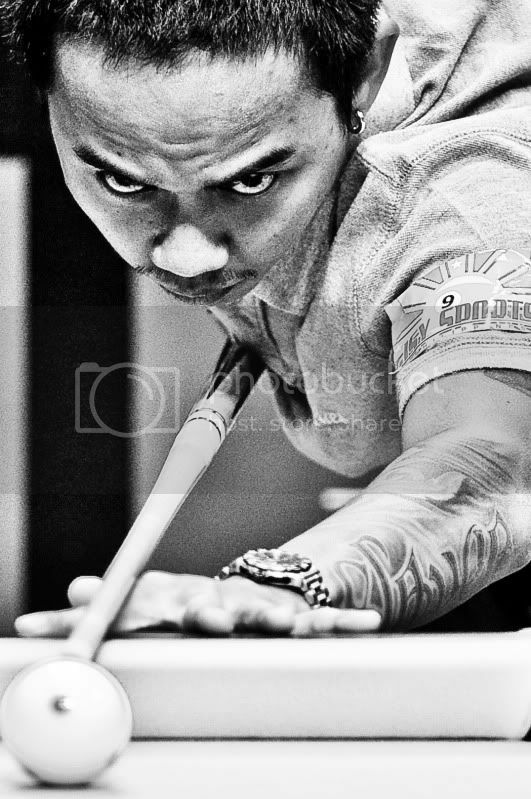 Ronnie Alcano pocketed the 8-ball crown for the Philippines after recovering from what he suspected as food poisoning. The Filipino pool player edged the tough challenge posed by Singapore’s Tey Choon Kiatt with a 9-6 win at the Sima Thani Hall, Thailand, bringing to three the number of gold medals won by the Philippine Billiards Team. Antonio Gabica, aka Gaga, and Marlon Manalo, aka Marvelous, won the gold in the men’s 9-ball doubles competition, while Rubilen Amit, aka Bingkay, made history when she took home the bacon in the women’s 9-ball showdown. Ronato Alcano and Marlon Manalo led the RP squad in the recently concluded 2007 Kabayan San Miguel Beer (SMB) World 9-Ball Challenge: RP versus Rest of the World billiards competition at the Filipiniana Hotel in Calapan City, Oriental Mindoro, Philippines. The Philippine Team (Billiards) is headed by my good friends Ricardo Ancaja, aka Ramon Champion, and Edgardo B. Asonto, aka Boyet. Ronnie Alcano complained of loose bowel movement after taking a late dinner. Alcano was also vomiting repeatedly before his quarterfinal match against Singapore’s Toh Lian Han of Singapore. He disposed Toh with a close 9-8 victory before trouncing Malaysia’s Ibrahim Bin Amir at a 9-7 exciting finish. With regards to the food poisoning thought, unless another player was food poisoned, it could have just been a simple case of bum stomach or loose bowel movement. :) Congratulations Ronnie for a job well done! Very impressive wins, kabayan! And I kid you not! Mabuhay! "The AnitoKid and the Philippine Team as One!" *Did you enjoy the post? Did you find it interesting? You got that right, kabayan! And here's hoping that the coaches get bonuses too this Holiday season! Go, go, go indeed! Mabuhay Team Philippines! 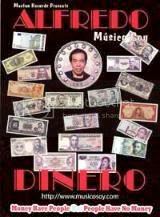 Played poker wit dis fucker in Ortigas. Da most mayabang guy ive ever met. Throws money at people and even at his own date! The MAPPA 2007 Winner-Take-All 9-Ball Tour! Online Poker Play On a Mac at MacPokerOnline.com! Full Tilt Poker Tips at TurnRiver.com! Pool Cues and Pool Tables at Dazadi!